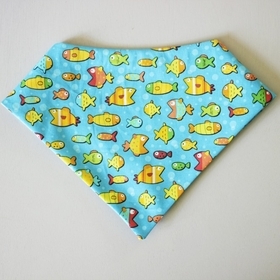 The most adorable accessory, our bandanas come in a scoop neck design for the best fit and comfort. They're handmade with 100% cotton fabric, double-sided, and feature a snap closure for easy wear. Hand wash with mild soap and air dry.